Some awesome updates to share this month with the person screen sidebar improvements, and new versions of the Android and iPhone apps (already showing the effects of beefing up the mobile engineering team!). We’re also excited to welcome our latest full stack engineering hire Flavio daCosta! Flavio joins us with a TON of CRM development experience that we’re excited to bring to bear for our customers. We’re still in the hunt for a sales manager and another full stack engineer so if you know anyone who wants to work on an amazing product, with an amazing remote team, send them our way! We’re also going to be getting the team together in Nashville at the end of this month, so if you’re in the area and want to meet the team, just send me an email to dave at followupboss.com and we’ll make something happen! You can now re-order your sidebar sections, as well as collapse and expand them. Collaborators are now visible and editable from the person details view screen. 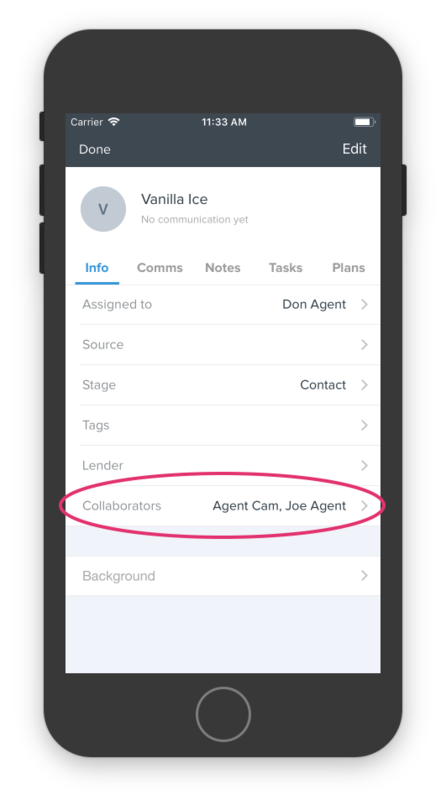 Agents will now be prompted to stay on as a collaborator when re-assigning a lead. When a team members re-generates their Api Key in FUB2 the app will display a message that they need to login again and send them to the login screen. Notes text was made darker to increase legibility. Scroll to view part of note covered by the keyboard. Automatically scroll the note to show the cursor if the user taps the insertion point at a place that the keyboard covers. Editing a note will change the back arrow to Cancel. If Cancel is tapped, confirm leaving without saving changes. Lenders will no longer see the Assigned Users picker. Lenders do not have permission to change the Assigned User. Lenders are no longer included in list when selecting the Assigned User. The lender is selected separately from the Assigned User. Prevented crash on the Assigned User picker by confirming that the selected row(s) exists in the user list. Fixed issue where the Assigned User picker would briefly include Lenders. Fixed Lender user list so that the Lender picker is always up-to-date. Prevented crash when typing search query. If you suspect someone who shouldn’t have access to your Follow Up Boss account obtained your API key, you can now revoke it. Click “Regenerate API key” on the API screen to revoke your old API key, and create a new one. NOTE: This will disconnect any integrations you have set up which are using the API key, and it will also disconnect the mobile app for your agent. You will have to login again in the mobile app, and you will have to reconnect your integrations. We have stabilized fetching data, it should be much more reliable. Accounts with Dotloop connected were experiencing an overall slower sidebar load time, this has been fixed, though deals section will be slower to load still, we will look at this further in the future. Action plan buttons are brighter colored, should stand out a bit more, so it’s easier to see when an action plan is running. Task order has improved and functions more like a task list. As always, keep the feedback coming in, we will keep improving and making things look better! 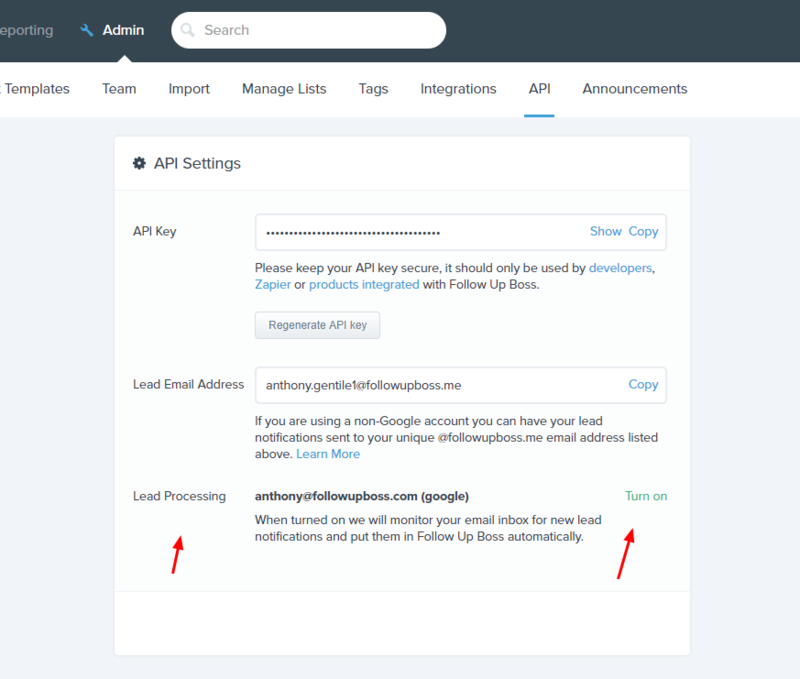 Inbox Lead Processing is enabled by default for account owners that connect with a Google email address. Please note that agents will not be able to view or edit lead flow in any way, similarly to their lead email addresses. 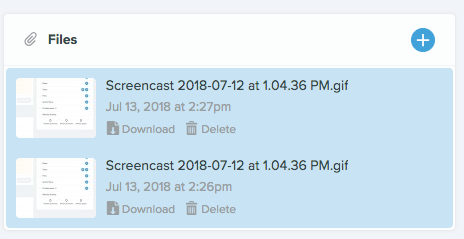 We improved some styles around dragging and dropping files into the person attachments section or the deals attachments. Also we fixed some styles when dragging files into an email. • Property inquiries and other lead activity now display description text. Get the update from the Google Play Store here. • Fixed an issue that prevented search from working properly for some users. As we are always looking for ways to make things more secure, we have enabled our MailChimp integration to use a secure connection (SSL) to keep your data safe. 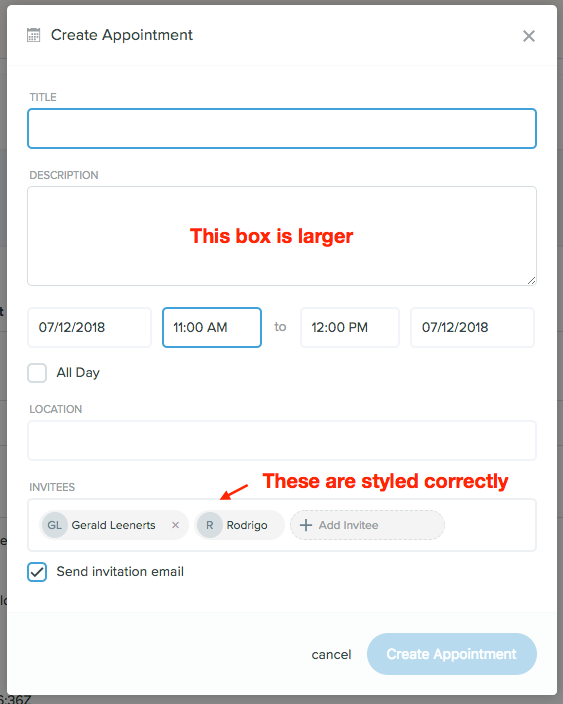 We fixed some styling with the appointments modal, the invitees should now be styled correctly. Additionally, there were some issues when fetching data for tags where if you closed the tags modal before letting them all fetch, they would be stuck in an infinite state. This is now fixed as well. There was a fairly rare error that occurred when trying to add a collaborator. This is now fixed.